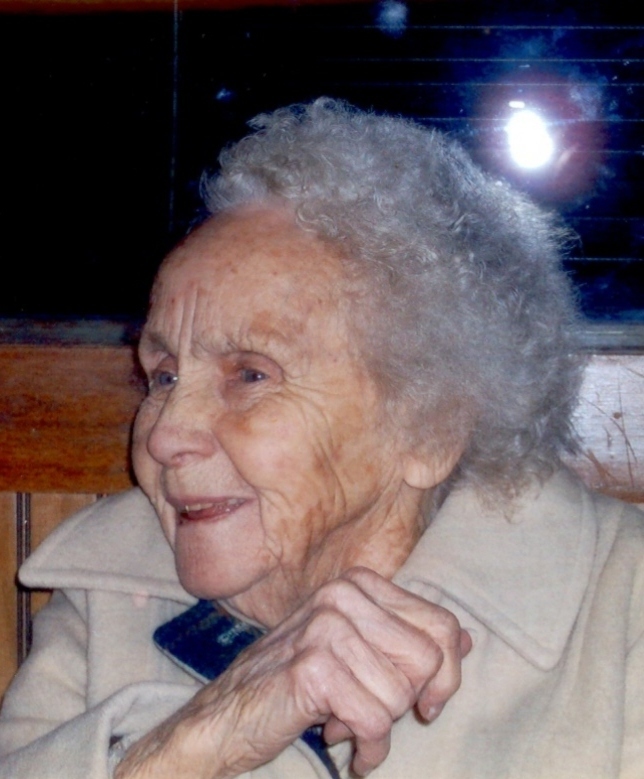 Dedicated Wife, Loving Mother, Grandmother, Great and Great-Great Grandmother Ethel Leora Buller, age 89, of Milo, MO, passed in peace into God's hands May 1, 2013, at Cedar County Memorial Hospital in El Dorado Springs, MO, after a period of declining strength and health. She was a wonderful example up to the end showing love, kindness, warmth and humor that characterized her life. Ethel was born October 30, 1923, in Jasper, MO, to Elmer (Frank) Owens and Frances (Gresham) Owens. She married Elam Buller in 1942. They eventually made their home on a farm near Virgil City, MO, where they raised their seven children (five sons and two daughters). She has 15 grandchildren, 28 great grandchildren and 2 great-great grandchildren as well as many nieces and nephews. She was preceded in death by her parents Frank Owens and Frances Ashworth, her husband Elam Buller of nearly 65 years, sister Irene Messer, and son James (Jimmy) Buller. Surviving are two daughters: Elaine (Harold) Boden of Montrose, MO, and Jane (Pete) Stewart of Homosassa, FL; four sons: Robert( Barbara) Buller of Ormond Beach, FL, Marvin Buller of Nevada, MO, David Buller of Milo, MO, Rodney (Jennipher) Buller of El Dorado Springs, MO; sisters Eleanor Kempski of Grand Rapids, MI, and Hattie Smith of Eagle Rock, MO. Also surviving are her many cherished grandchildren. Ethel loved and took a lot of pride in her family. She thought her greatest legacy was her children and one of her greatest joys was being a loving grandmother. She was well known for her quilt making, her beautiful flower gardens, and her cooking and baking. She was an avid collector of Red Apple decor in her kitchen, decorative plates and spoons from every state and some countries provided to her by her children, grandchildren, and friends. She enjoyed being surrounded by the ones she loved and those that loved her most. She will truly be missed by all that knew her. The family will receive friends from 6 to 7 p.m. Sunday, May 5th at the Bland-Hackleman Funeral Home in El Dorado Springs, MO. Funeral services will be held at 2 p.m. Monday, May 6, at the Bland-Hackleman Funeral Home with Rev. Brent Bland officiating. Burial will follow in Virgil City Cemetery under the direction of Bland-Hackleman Funeral Home. Pallbearers are: Eddie Boden, Bryan Buller, Joshua Buller, Andrew Bellinghausen, Jonathan Karleskint, and Jordan Karleskint.